This is a simple and very fast track dedicated to all X-SIM 2DOF Motion Simulation users. 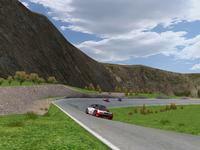 This is a very fast track where most of the available effects generated in rFactor can be tested and put to use. It covers 2 Parabolica's, 2 hills and 1 fast chicane and 1 slow chicane. For those using wiper motors as drivers, I have included my rFactorOpenWheel.rn2 profile in the Zip file. Thanks to BTB and the X-SIM community for making this motion platform possible. There are currently no setups for XSIM Test Track. Add a Setup. This is a simulation rendition of BeaveRun, Pennsylvania, USA.